Rally Finals is designed to showcase ASCA’s finest Rally dogs to the world so that we may share the virtues of this versatile breed with others. ASCA Rally Finals are held in conjunction with the National Specialty each year. Invitations are sent to the top 20 Rally dogs. Scores are compiled annually from June 1 through May 31 of the year that the Finals are held. 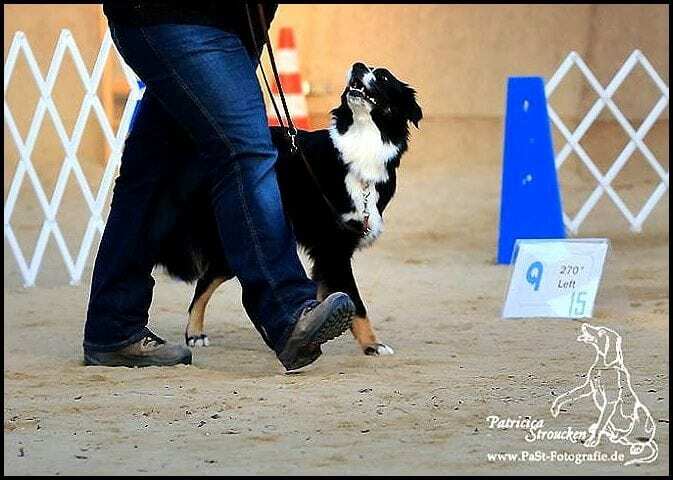 Eligible dogs are ASCA or LEP registered Australian Shepherds owned or co-owned by a Full ASCA member in good standing. During the competition year, the top five combined scores (from Masters B and Excellent B from each of 5 trials) are tracked and added together for each dog in order to determine the top 20 Rally dogs in all of ASCA. Invitations are sent on July 1st and must be returned to the ASCA Office by the deadline stated in the invitation. If there are any dogs from the top 20 who are not able to make it to Nationals, the Business Office will send an invitation to the 21st dog on the list and will continue working their way down the list until a field of 20 dogs is fulfilled. It is an honor to receive this Invitation and a joy to watch these fine teams compete at the highest level of ASCA Rally! Only the top 20 teams are invited to Finals. Each team shows in both Excellent B and Masters B to two judges. Scores from all 4 runs are tabulated to determine the placements. In the event of a tie, combined times for all the runs will be used as the tie-breaker. All these fine teams are recognized and rewarded for their contribution to our sport, and more importantly to further demonstrate the versatility of our breed. See Section 13 of the ASCA Rally Rules & Regulations book or click here to see the complete rules and requirements for ASCA Rally Finals.